The idea of spiritual friendships is ancient. Yet for many modern Christians, the concept of being vulnerable and transparent with another pilgrim on the way is mysterious and new. Different from "discipling" another believer - a relationship that implies leader and follower, teacher and student - spiritual friendship is built on equality, mutual trust, accountability and risk-taking by both parties. Spiritual friendships aren't easy, but they're worth it. 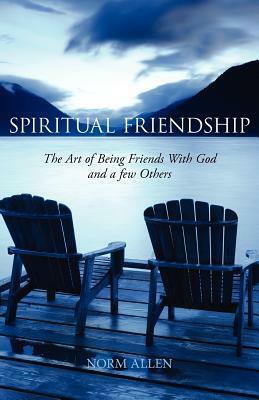 Spiritual Friendship explores the spiritual and Biblical foundations for spiritual friendships. Encouragement and stories about spiritual friendships drawn from the author's long experience helping to nurture these unique relationships, can set even the most reluctant traveler on the road to deeper, more transparent friendship with others and with God. Norm Allen is founder of Touchstone Ministries, a loosely linked community of friends whose vocation places them in leadership in the business, political, arts and spiritual marketplaces. Through Touchstone's work, leaders explore what it means to love God with heart, soul, mind and strength.